It’s important for your self-mailer to entice a possible customer to learn more about the sales offer, your products, and eventually become a loyal customer. Great news - you can create a fantastic, eye-catching self-mailer (while saving money at the same time) with these tips on how to save on self-mailer expenses! The cost to produce self-mailers (ranging from 3-1/2” x 5” to 6-1/8” x 10-1/2”) can be roughly the same as oversize postcards, but generally cost a bit more. The paper stock (of a sheet that measures 11” x 17” that quarter folds to 5-1/2” x 8-1/2”) can be lighter weight text because after folding to the finished size, they meet the minimum 9pt thickness requirement to mail as letters. The lighter weight paper costs less than heavier cover stocks, but the additional bindery work of folding and either glue sealing or tab sealing with wafer seals adds cost. In conclusion, keep in mind that when you use thicker paper, it will increase the cost and therefore, thinner paper will be less expensive. Folded Self-Mailers can be as small as 3-1/2” x 5” up to a maximum size 6-1/8” x 10-1/2”. A sheet measuring 11” x 17” that quarter folds to 5-1/2” x 8-1/2” is a good example of an affordable, folded self-mailer. Artistic design can be utilized to enhance a self-mailer and inserting your self-mailer into a clear poly envelope is also a nice way to showcase artistic design and add visual impact. When you utilize an envelope, it allows you to add more paper space to implement even more creative designs and graphics. Besides artistic freedom with both the self-mailer and the clear poly envelope (if you decide to use an envelope), there is also great flexibility in designing folded self-mailers. Some fold in thirds, others roll fold with 4 or 5 folds, and some include special die-cut shapes and multiple folds. Another important design consideration is the orientation of the address panel in relation to open or closed edges. As a rule, you want a fold or closed edge at the bottom of the address panel. There are various USPS requirements related to how self-mailers must be sealed dependent upon the way a piece is folded. 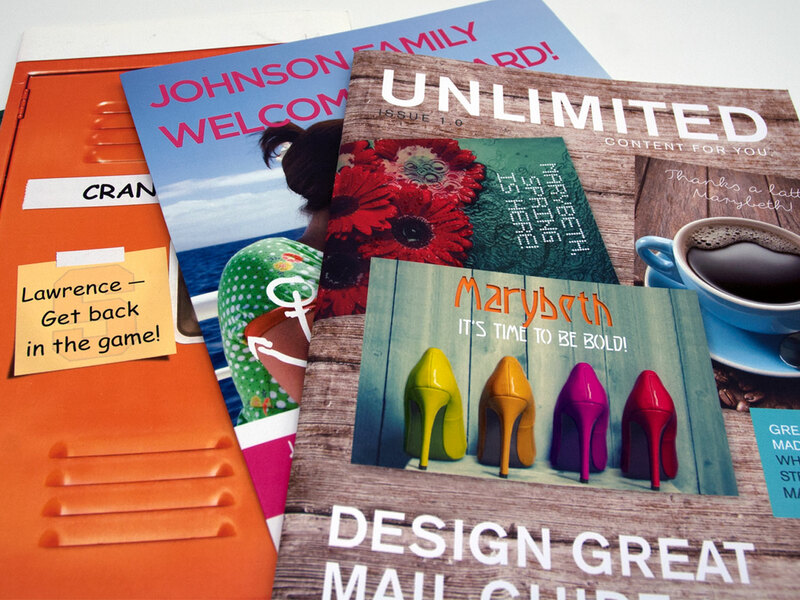 Talk to your printer or mailer about your design. Smaller sheets may need to be printed on heavier paper in order to meet the 9pt thickness requirement. For example, a piece with a flat size 17” x 5” folding to finished size 5” x 7” needs to be printed on cover weight paper stock. Scoring is necessary to prevent cracking during folding. A self-mailer printed on cover stock can include a perf-off reply card which meets postal requirements for the recipient to mail back without the need to use an envelope. Booklet Self-Mailers are produced from multiple sheets of paper which are usually saddle stitched at the fold. An 8-page booklet is comprised of 2 sheets printed front and back, folded in half, collated and saddle stitched. A 16-page booklet is comprised of is 4 sheets. 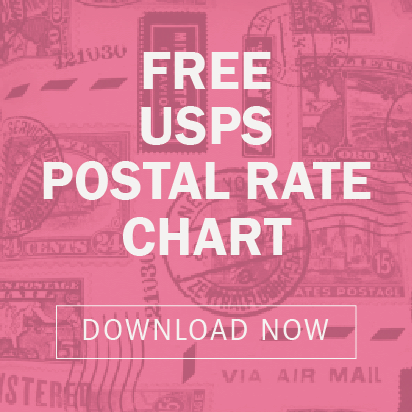 o As you increase the number of pages you will increase your costs, and potentially your postage should you exceed 3.3 ounces for Standard mail or 2 ounces for Presorted First Class. Printing a booklet self-mailer is a great option for showcasing multiple products, events, and more. Your customers will be able to see a greater variety of products to choose from and hopefully decide to buy at least one product or attend one event. There are many options and factors when it comes to saving money when you use self-mailers. What self-mailers sizes should I use for my unique company? How many pages should I put in my booklet that will fit my specific industry? Should I use a clear poly envelope to jazz up my self-mailers? At John Roberts Company, we can help you answer all of these questions. Request a quote for mailing self-mailers today.